We got a bunch of VHS videos off of Craigslist last week. Among them was our very own copy of The Wizard of Oz. We tried to introduce this movie to Princess last summer, but she wasn’t much into anything live-action at the time, so it didn’t go over too well. We gave it another try last night, and the reception was much better. Both girls were enthralled. Well, at least they were after it was in color… Princess kept asking “Why does it look funny?”. And when Dorothy lands and walks out into colorful Munchkinland, I asked “Wow, where is she?” and Princess said “She’s in color!!”. Both girls loved Glinda- Birdy was particularly excited about the bubble-that-turns-into-a-sparkly-princess part. Birdy had to make her exit to bed just after the Cowardly Lion makes his entrance. If you remember, he is in his furry costume with a long tail, and he does a fair amount of jumping. She pointed excitedly and said “Monkey!”. I tried to correct her and say “Lion, Grrrr” and she just laughed and said “Monkey” again. I guess she knows better than me. Princess was really into the rest of the movie. So much so that when the witch throws Dorothy in the room and locks the door, she started sobbing. Literally sobbing and asking DMP “How will she get home?” It was really cute. I was watching the rest of the movie with her and when the wizard’s balloon takes off without Dorothy, she started crying again. She was so worried about her and how she would get home to her family! Thats really cute! By the way, they are putting on the wizard of oz on stage here next fall… It will probably be better than seussical too! October 14, 2008 at 4:31 pm. Permalink. I remember going through my Dorothy stage! Expect to be asked for braids every morning. Thats’s all I remember wanting and every picture of my through that stage has me in them (thanks for obliging mom). I keep seeing Dorothy costumes. I bet there will be some half price after Halloween. I’ll keep an eye out. October 17, 2008 at 2:06 am. Permalink. 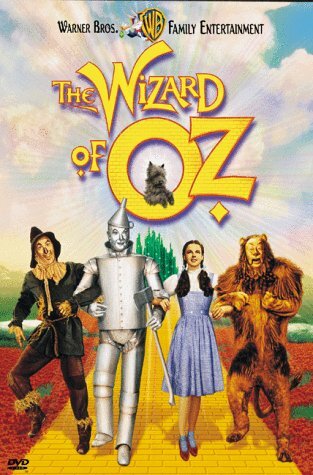 Ah, the Wizard of Oz, one of my all time favorite movies. I’m glad princess is finally appreciating what a masterpiece it is. But honestly, I think you need to update. I’m tired of coming to this blog and being faced with nothing but disappointment. So consider this a nudge. October 21, 2008 at 9:15 pm. Permalink.